Chris is a Partner with Elfvin, Klingshirn, Royer & Torch, LLC. She has practiced exclusively in the area of employment law representing individuals since 2004 and Chris brings a breadth of experience in the area. In particular, her knowledge and skill regarding Ohio unemployment compensation law brings a focus in this area to the firm. 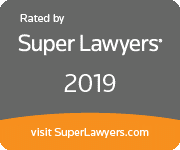 Chris was selected as a Rising Star from 2009 to 2011 by Ohio Super Lawyers magazine, and has been selected as a “Super Lawyer” in the area of Employment Law by Ohio Super Lawyers magazine since 2012. Chris's practice areas include representing individuals in cases involving employment discrimination and retaliation; unemployment compensation claims; non-compete agreements; and severance negotiations. 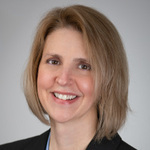 Chris is a member of the National Employment Lawyers Association and the Ohio Employment Lawyers Association, where she has served on the Board and the Amicus Committee since 2007. She also served as Chair of the Cleveland Employment Lawyers Association from 2011 to 2015. Chris is also a member of the Cleveland Metropolitan Bar Association, serving as the 2014-2015 Chair of the Court Rules Committee, and as a member of the Committee since 2013. She has been a member of the Cleveland Employment Inn of Court since its inception in 2005. In addition to her law practice, Chris conducts investigations of employee disputes and formal complaints, providing a neutral, third-party perspective.